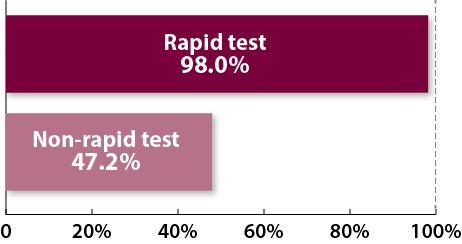 Delivery of more positive test results are connected to patients with rapid testing compared to lab-based testing. 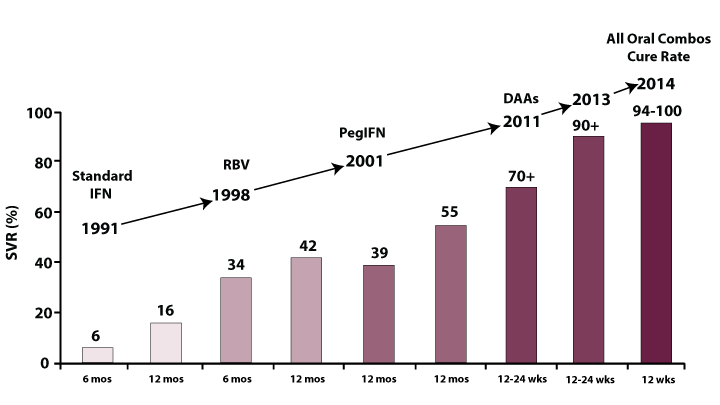 ln the 2010 CDC Funded-Site Report, 98% of HIV+ rapid results were received by patients compared to only 47.2% of HIV+ results performed by non-rapid (lab-based) testing.5 Rapid testing ensures that more people receive their test results. Ask your patients to opt in and join a personalized patient support program. With the advent of a new and powerful group of oral drugs called directly acting antiviral agents (DAAs), patients now have the opportunity for a high cure rate for a disease that used to involve lengthy treatments with injectable drugs with potentially serious side effects. Reference: Adapted from the US Food and Drug Administration, Antiviral Drugs Advisory Committee Meeting, April 27-28, 2011, Silver Springs, MD.